It's called a table tripod. 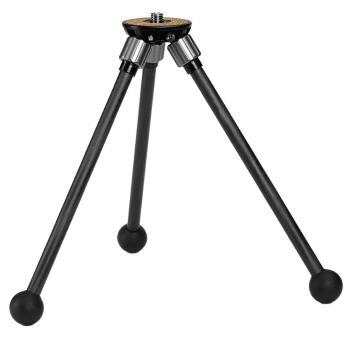 In fact, it is an all-round mini-tripod for many applications. Because it is light, handy and also easy to stow, you like to wear it with you on almost every occasion. This mini tripod is best suited for macro photography, for landscape, long-term exposures or for the studio. It doesn't always have to wear just a camera. Also as a holder for an additional, larger camera display, the CP-10 is ideally suited in combination with a CB from our range.